...well, as tidy as it's going to get, anyway! This rather boring-to-look-at photo is my new, extra workshop space! and here we have the rest of the printing (stickers, instructions, patterns etc ... I have a lot! ), a huge bag of fluff, and some packaging boxes. Everything has been labelled and tidied so it's easy to find and keep tidy when kit mania is upon us! My favourite bit? All of it!! I love it, it's so tidy and organised...and roomy...no more storing things on the stairs for me!! It took all of yesterday afternoon and most of this morning! the kit craziness has begun! Everyday I work on kits, sometimes for a few minutes, sometimes for hours. Mostly it's work I can't share because the kits aren't launched yet and I don't want to spill the beans too early (even though I am busting to!) Sometimes I'm designing and sample making, sometimes I'm drawing patterns and writing instructions, sometimes I'm finding suppliers and buying supplies, sometimes I'm working on packaging ideas and sometimes I'm planning & list making! And boy does it take a lot of planning and a lot of lists! So the first six months of 2012 were planning the kits...and the next six months will be making them! Come on kit craziness-I'm ready for you! I've updated the website AND I have added new polka dot button mix bags too! AND you can still buy them individually too!! hooray, Polka Dot Buttons for everyone! St Helier has some lovely shops....quite a few famous names and lots of lovely independents too and Jersey has a lovely 'brand' called Genuine Jersey which highlights local produce, be it food, plants, art or crafts. I treated myself to my very own Jersey Cow made by Nanette Regan (you may know her from her blog which was called Area Thrifty One, you can see her blog here) I've been a blog follower of Nanette's for ages (lucky me, I won a freebie ages ago!) and it was so lovely to see all her products up close in a number of shops around the island. Nanette makes tonnes of lovely lovely softies, kits to make your own and even gorgeous prints...it seriously took me ages to decide which to buy...the octopus with blue legs nearly won but the Jersey Cow was more apt!! today has passed in a blur! Our holiday was Fantastically-Amazing! 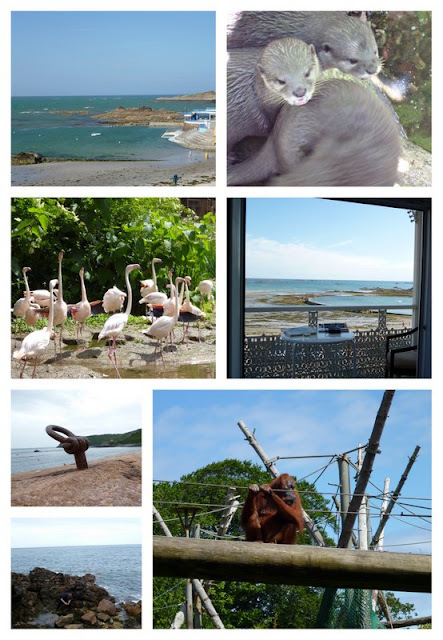 We went to Jersey and loved it! We relaxed, ate, pottered and sight-see'd to our hearts content! The zoo was the brilliant, the hotel (and the balcony view) was glorious...we had some sun, some rain, and some gale force winds (especially important to know about whilst on a ferry!!) but whatever the weather we had fun! John took a lot more photos than I did...but that's lucky for you otherwise you'd be looking at a whole load more of my holiday snaps!! I've been slowing my way back into work today...I have re-opened all my shops, there's a new message on the website and I've opened all my nasty bills!! Orders are picked, and will be packed and ready for posting tomorrow as promised .... 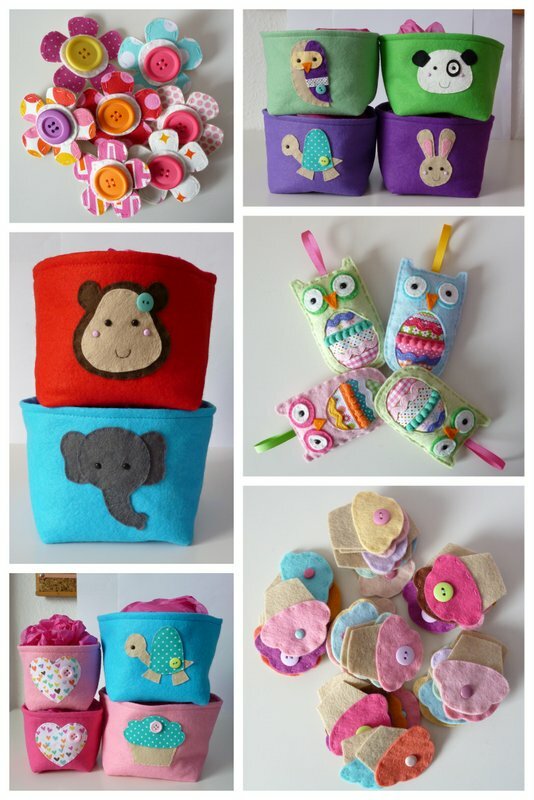 I've got a tonne of sewing to do for NotOnTheHighStreet orders and my to-do list for this week is a L-O-N-G one already! 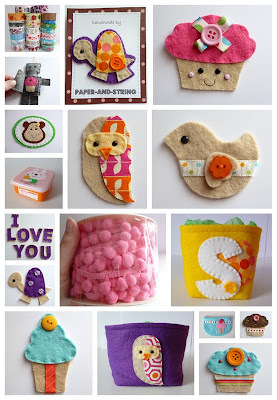 I've been working hard on the website and have added 174 product lines to the sale section...all sorts of products, from embellishments, felt, ribbon, handmade boxes, decorations, pom pom trim...the list is quite long! The website is programmed to remove out of stock sale items* so if you can see it, it's available! I hope you enjoy the sale....think of us tomorrow in a force 7 gale on a 12 hour ferry crossing** !! * I've not used this function before so fingers crossed it works like it should! ** Double fingers crossed that the ferry will actually sail!! CLICK HERE for the SurPrisE sALe! I'm really glad with the nine colours I picked, all very cupcake-y and bright! I will be closing my etsy/ebay/folksy shops but my website will remain open. All orders placed by the end of Thursday 7th June will be posted as normal. All orders placed between Friday 8th-Monday 18th June will be posted on TUESDAY 19th June. Watch the blog for more exciting news before I go....there's a surprise coming!! These past 4 days have been fun ~ I hope you all had good Jubilee Celebrations? Thank you to every one who took time to answer my button question on yesterday's post....It seems that the answer is Both! Which is a mighty fine answer! It means I shall be re-jigging the button section a teensy bit and adding a few more mixed bags! Hooray for the most helpful blog readers/shoppers ever! Today was a manic day...Lots of last minute orders which have *just* made it to the post office, I'm hoping that everyone will get them tomorrow so that their Loooong weekend will be a crafty one, I'm working tomorrow and Tuesday, but Sunday and Monday are Days Off Days.